Is there a way to increase the size of file the system accepts? We are having trouble with file size. 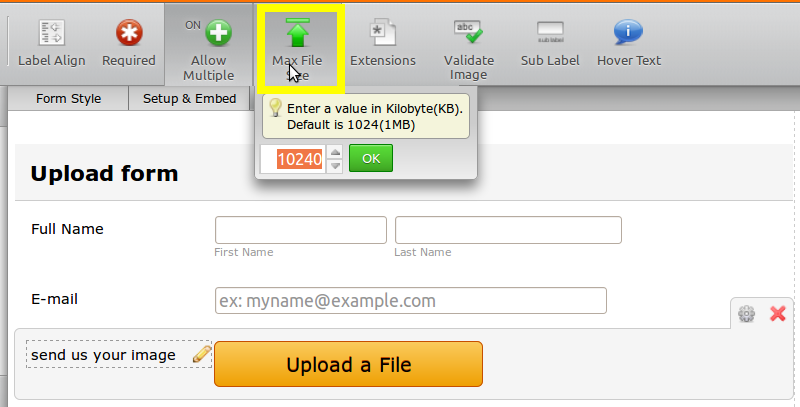 You can increase the number by select the file upload field and then clicking in the Max File Size.